To some, the task of managing your company’s trade show and event marketing efforts may appear simple enough. Those who actually do it know that nothing could be further from the truth. The trade show business is fast paced and time-sensitive. Weakest link theory applies because a wrong move very often stops all that follows. You have strict budgets for what you need done and very often feel you are out there on your own. Just getting everything done is overwhelming, never mind getting the best value for the dollars you are spending. ROI can be an elusive target. If the above sounds all too familiar, may I suggest you turn to your exhibit provider for help improving your ROI. That is, of course, predicated on your having a great provider. 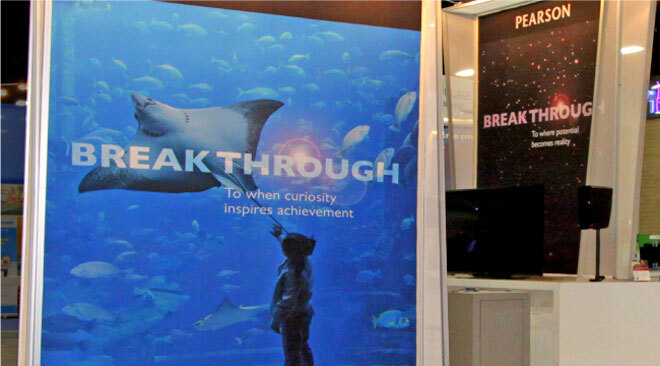 What should you expect from a great exhibit design, production and management company? For starters, expect tailored solutions that reflect your marketing goals, corporate branding, business objectives and budgetary requirements. To assure your program’s success, your provider must also have time proven systems and procedural abilities in place to create real value to provide the best ROI for you. How does the meeting go? You know the drill, what shows, how big, what are your current company colors and how much money do you have? Two weeks later they come back with a pretty rendering that is presented as the be-all-end-all of exhibits and the price is 50% higher than you had discussed two weeks earlier. Sarcasm aside, all too often the direction you take is as a result of this kind of disjointed fact finding question and answer session. Sadly, many exhibit suppliers pursue projects this way because they see it as the quickest route to a sale. Fact finding questions can provide information needed at some point, but to base your program’s direction on a shallow interview alone would be shortsighted. If the above is what you are getting from your current provider, you are dealing with a vendor, not a partner. If the first question you hear is “what’s your budget?” you may want to look elsewhere. Don’t get me wrong, budgets are always important, but value can only be determined on a results based matrix over time. 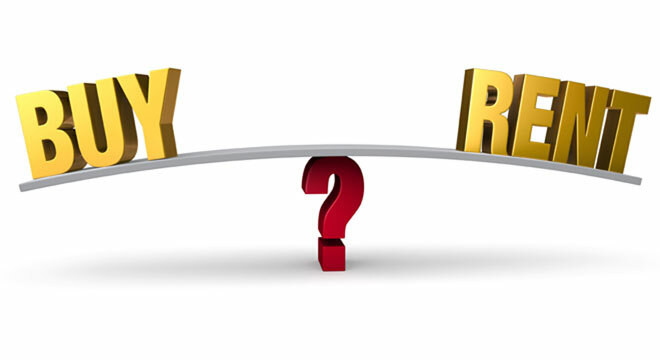 A larger or smaller budget does not automatically equate to a result equal to the money spent. The best way I have found to approach exhibit design, fabrication and program management, is to think of the process as a series of interrelated steps that first address the why we do something, from which the what can be determined. Great companies in any business segment, exhibit companies included, must put forth a collective culture of service and purpose in how they conceive and pursue the creation of value for their clients. To demonstrate this, what follows is how we approach what we refer to as the “process.” Mind you, all great exhibit companies, and there are many, have some form of what I am referring to here. More importantly, you must decide on your provider based on how well their process and culture matches your needs. We have developed and use an approach that we follow for both new and existing clients. It is best thought of as discovering why we are doing what is being done. With new clients it represents the start of what we hope to create, a consultative, partnered relationship. With our existing clients, the process is an ongoing re-examination of the why to see if the what has changed and needs adjustment. Our process breaks down into five distinct areas, which are all interrelated. The first three are progressively linear and the last two are circular in relative terms. Elemental questions previously mentioned such as historical exhibit use, shows attended, currently owned exhibit properties, warehousing requirements, logistical and site support issues are only a starting point. The important part of the discussion, the road all too often not traveled, is your company’s industry positioning, business plan, brand identity, marketing direction, product and service offerings. Where you want to take your business and what your business objectives are will provide the road map to the why we seek to identify. When we know why, organization and collaborative analysis of the information gathered can take place and the outline and strategy going forward can be formulated into a plan. This is the point when consideration can start to be given to what shape and scale materials and service support mechanisms are most appropriate. It is important to note that this is the earliest point where initial concept sketches, service logistics scenarios and use-based issues are taken into consideration and budget ranges start to be developed. You might be thinking that what I have talked about thus far is the basis for the formulation of an RFP for a new exhibit. You would be correct. The question is, does it make more sense for you to formulate your own RFP and go out to bid or would bringing on a proven consultative professional partner first be the better approach? In a legal matter, would you formulate a complete legal defense strategy on your own and then go out to bid to hire an attorney for the courtroom work? I think not. Design direction, engineering and construction parameters, peripherals, services and program management all enter into consideration at this stage. Design is not the creation of a pretty picture. Design is purposeful and based on approved direction coming out of the analysis of “why.” Great exhibit design incorporates so much more than an attractive background for your products, services, technologies and brand objectives. The goal is to have the design reflect the plan developed in the RAP process. The engineering of exhibit properties as a value generator is probably the most overlooked aspect of design and fabrication. That pretty picture mentioned earlier can be built in as many ways as there are builders that might build it. How an exhibit is used determines how it must be built. An exhibit used once would be built very differently than one used dozens of times a year for many years and in different configurations. The most expensive part of exhibiting comes from repetitive expense. Using an exhibit time after time can rack up some hefty expenses. The big three are drayage and shipping, which are weight based, and I&D labor which is an hourly based expense. Proper engineering promotes weight reduction wherever possible and appropriate as well as faster set up and dismantle times. Engineering for multiple configurations without creating numerous special single purpose parts reduces both weight and complexity, which in turn reduces both weight based expense and I&D labor costs. Casing exhibit materials chronologically based on configurational use parameters further reduces weight and hourly based expense. Fabricating a high quality exhibit requires skill and exacting craftsmanship. The value of all the planning put forth prior to this point cannot be realized if the fabrication is done in a less than exacting manner. Post fabrication repair and maintenance due to inferior construction is commonplace in the exhibit industry. The constructive skills of your exhibit provider need to be of the highest level. Demand the best. This is the time when the exhibit is seen in its assembled condition for the first time. Personally, I love this part, the ooh and aah stage. The new materials are set up for preview normally in the first use configuration. Staffing expense can be regarded as the fourth large dollar line item in the implementation of an exhibiting effort. Training value can be created in this timeframe by allowing you and those participants in your organization to get up and running with booth staff training and use rehearsals. A properly sized booth staff with a defined and rehearsed purpose is the most efficient and least expensive way to contribute to overall value. This is also the time for your exhibit provider to review and reinforce your understanding of the use of your materials along with the management initiatives put in place for exhibit logistics and site support considerations. The ongoing operation of an exhibit program contains two distinct parts that operate hand in hand. The relationship is circular in nature. Everything leading up to this point has been done with a value driven mindset directed at the use part of the program. This is where repetitive expense occurs and where proper management of those expenses is a value generator. Logistical execution of an exhibit program requires impeccable planning, procurement and coordination of transportation, event site contractors and service providers. Your exhibit provider should have the experienced personnel and a proven record of implementing and managing cost effective programs. A fully integrated exhibit provider has strategic relationships with shipping, I&D contractors and all manner of service providers. Proper management creates value by actively managing for efficiency. Exhibits need to be put into the right configuration for single or multiple uses while monitoring the condition and repair of the materials. This work is normally done in your exhibit provider’s shop. If needed, some repairs and modifications can be accomplished at other sites by strategic partners under the oversight of your provider. Show site repair of exhibit materials is extremely expensive. On-site contractors are not prepared to make repairs that require large power tools and shop based machinery. The cost of missing or incorrect parts is also very expensive. The value message here is that everything needs to be put together and made ready with the intended use or uses in mind so that show site expenses are minimized. When interacting with your current exhibit provider or interviewing a new one, you should be evaluating every step of their process. Understand how they work to bring value to the table. With a full knowledge of the scope of your program goals and objectives, a well prepared provider can guide you through the process of meeting your program goals and objectives. You spend your program dollars on the what part of the value equation. To truly create value you have to start with a proper analysis of why. Your best chance of getting the highest levels of ROI is a result of an ongoing, partnered, consultative dialogue with an exhibit provider that has your goals and success front and center. Much has been said to this point. It might be as simple as asking yourself if your exhibit provider is a consultative partner with your best interests in mind, an organization that can guide you through the minefield of exhibit program creation and management. Remember the why always precedes the what and provides the key to unlocking value and generating ROI. Richard Seigars is President and CEO of DisplayCraft, Inc.
His experience has spanned over thirty-five years in all aspects of exhibit design, fabrication and program management. DisplayCraft, Inc., founded in 1957, is a fully integrated provider and manager in the three-dimensional communication arts. A recognized leader in exhibit design, fabrication and program management with a clientele including local, regional and multinational corporations and associations of all sizes, we operate both domestically and internationally. Through the years, our experienced team has built a reputation for quality, value and results by putting our clients at the core of everything we do. Through our knowledge and experience, we create powerfully branded, managed solutions for every budget and environment.